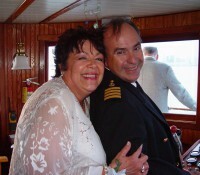 Captain Nick and Laurie Smollett Kutscera have lovingly designed and coordinated the private luxury yacht Eastern Star’s classic decor, making it both an elegant and enjoyable place for you to entertain clients, guests, family and friends. 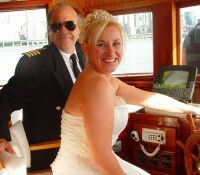 If you are planning a LI yacht charter, a Connecticut yacht charter, Captain Nick and Laurie along with their warm, attentive staff will ensure your event is everything you hoped it would be! 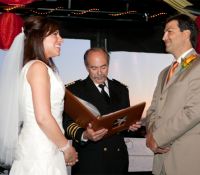 And don’t forget — if you are planning a wedding aboard the Eastern Star, Captain Nick is licensed in the State of New York to officiate weddings. Originally hailing from New York City, the Kutscera’s have recently relocated this classic beauty to the heart of the north shore of Long Island. Conveniently docked in Huntington Harbor, NY— Motor Yacht Eastern Star is now available for weddings, corporate events, birthday celebrations, reunions, graduations, sweet sixteen’s, bar and bat mitzvahs—any occasion where exceptional service, cuisine and attention to detail are paramount. Additional pick-up locations are available in Glen Cove, Port Washington, Port Jefferson, Greenwich, Stamford and Norwalk Connecticut, East Hampton and Sag Harbor. Contact Eastern Star Yacht Charters: your Long Island Yacht Charter cruise experts at 1(800) 445-5942. 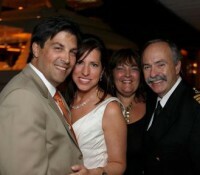 Captain Nick Kutscera has spent more than twenty years sailing the coastal waters from the Caribbean to Canada. 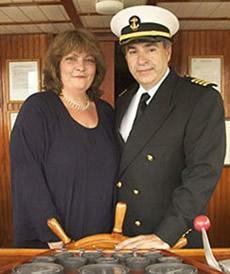 He holds a US Coast Guard 200 ton Master license, and is the visionary behind Eastern Star Yacht Charters. Captain Nick takes great pleasure in sharing his nautical knowledge as well as his love of local history with his guests. 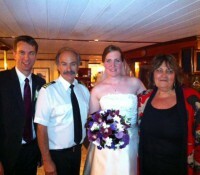 Laurie Smollett Kutscera is your event coordinator during your cruise. She takes great care in assisting her guests in planning the details of their events, from menu selections and floral arrangements to entertainment and custom invitation design. Whether you are planning a wedding, a corporate event, a surprise party, or an anniversary celebration, Laurie and her staff will make sure your private charter it is exactly how you envisioned it.